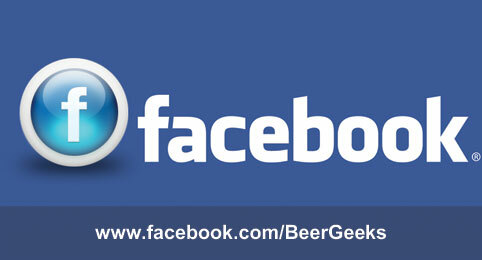 Go to our Facebook page at www.facebook.com/beergeeks "like" us and let us know what you think of the logo. The Beer Geeks travel near and far to sample the wares that the finest breweries, pubs and brewpubs are serving up. 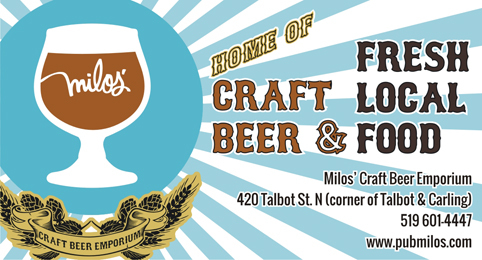 Latest stop, Milos Craft Beer Emporium in London, ON. Breweries looking to have products featured or reviewed can feel free to contact us. We would be happy to feature your new release or specialty product. Unbiased reviews will follow. Be our friend on Facebook to know what we are up to, what beers we are currently drinking and which reviews are coming next. See pictures and more! 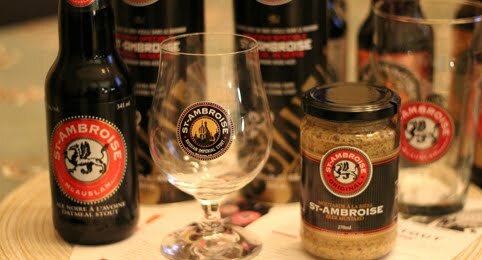 www.BeerGeeks.ca - Devoted to taste, flavour and aroma of good beer. 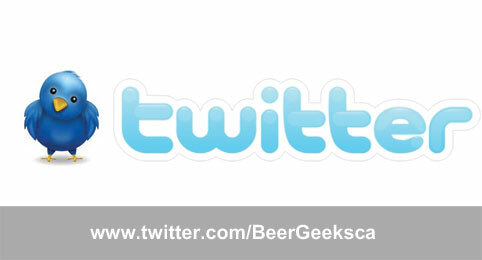 Providing you news, reviews and information on craft brews. The place to for information on new, old and bold brews from around the world! Be sure to follow us on Twitter to know what we are up to, what beers we are currently drinking and which reviews are coming next! 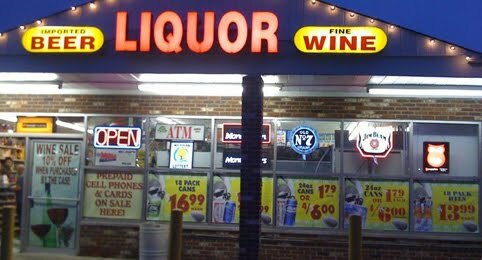 Ryan's Liquor in Port Huron, MI! For Ontarian's wanting American craft beer at great prices, Ryan's is the place to go. Located just across the border at 1837 Pine Grove, Port Huron, MI. A new beer from Beau’s Brewery will be tapped beginning Thursday Feb. 9 at more than 200 restaurants and pubs in Ontario and Québec, to launch Week 2 of Beau’s feBREWary, a month-long winter craft beer celebration. Called Embittermint, this 6.7% India Pale Ale gets a refreshing twist from the addition of organic peppermint, spearmint, and lemon balm. Beau’s Chef Bruce has designed a lamb and minted raita food pairing to complement Embittermint, and will be serving it this weekend at the Vankleek Hill brewery. The weekend will also feature samples of cask-conditioned Embittermint, activities and prizes for guests, as well as free tours and samples of the beers on offer. 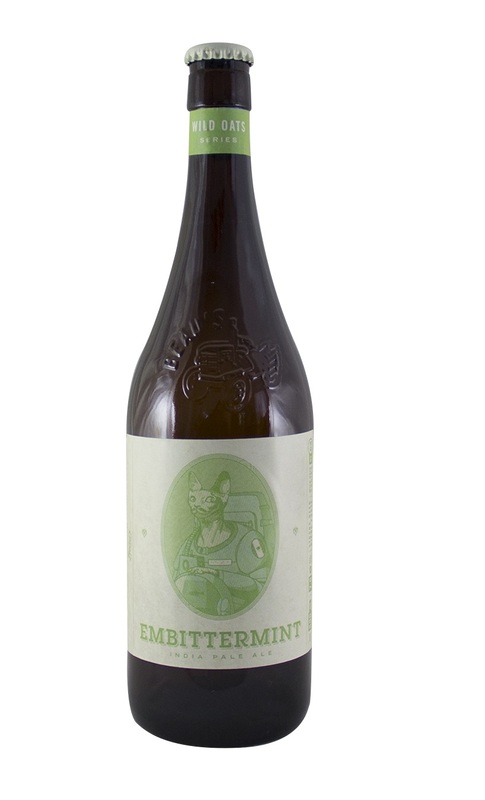 Limited quantities of Embittermint will be available for purchase in 600 ml bottles in the brewery retail shop (as well as select corner stores and supermarkets in Québec), beginning Feb. 9. FeBREWary 2016 is Beau’s All Natural’s 5th annual month-long beer event designed to “Give Old Man Winter a kick in the snowpants.” Next week’s feBREWary release is Farm Table: Pils (North German Style Pilsner), a traditional Pilsner with the herbal, hoppy characteristics of those brewed in Northern Germany. A full list of participating feBREWary restaurants in Ontario and Québec and details on all the upcoming feBREWary beers are also available online at www.beaus.ca/feBREWary. 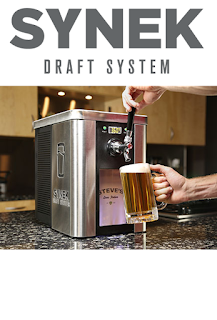 After raising $650,000 on Kickstarter and a subsequent $3.1 million in initial funding, SYNEK (“sin-eck”) announces three major product innovations that will further expand the quality and variety of beer to its customers. While hundreds of breweries already partnered, introducing the Growler Adapter will expedite their vision of perfect access by tapping into the industry standard. For the first time, this expands SYNEK’s capabilities to the increasingly popular nitrogen infused beers. To optimize for the strong homebrewing community, the newly redesigned SYNEK cartridges now tout a 50 percent higher pressure rating. The reinforced design allows homebrewers an easier, safer and cleaner way to package and pour their own brews. A vast majority of the beer industry currently uses vented faucets. While common, these faucets introduce beer killing oxygen with every pour. By creating a simple pliable sling, these taps can be upgraded to provide higher quality and longer lasting beer whether enjoyed in a pint glass, growler or SYNEK cartridge. “We’re not reinventing the wheel, just beer,” Young said. All of these innovations are currently being tested by select breweries and will be available mass market in Spring 2016. Barrel Reserve's Irish Red Lagered Ale Release THIS WEEKEND! 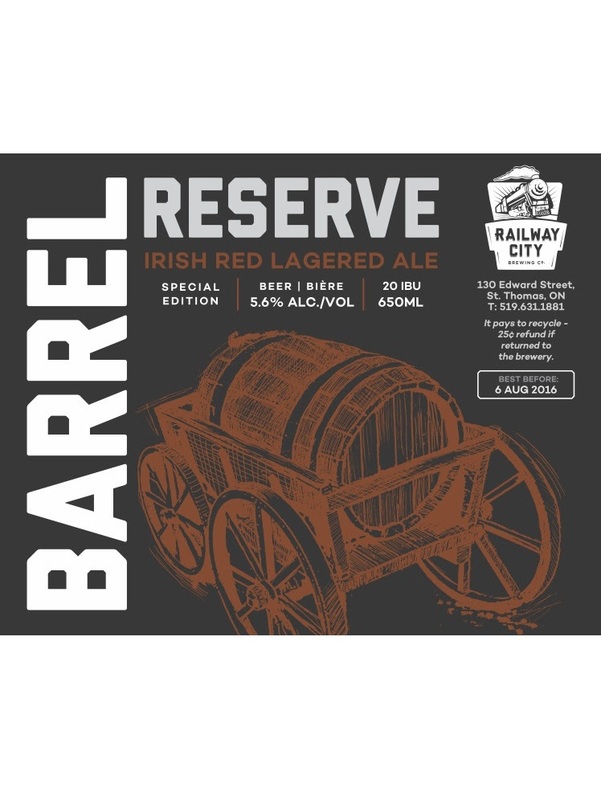 Railway City Brewing Co. presents their February Barrel Reserve: Irish Red Lagered Ale! Whether you're spoiling your loved one for Valentines Day or reveling in your single-swagger, this February brew is for you! The medium-bodied barrel-aged ale pours a mix of dark apricot and auburn hues into your glass. To the nose, aromas of dates, butterscotch, and hints of graham cracker sweetly tease the senses. The taste of butterscotch approaches on the forefront of the palate, only to fall quickly into the taste of red apple and dried fruits. The brew ends with a tart finish deriving from the tannins of the barrels. You are then left with a refreshing watermelon aftertaste that lingers on your tongue. This Irish Red Lagered Ale pairs well with Irish stews, loaded potato skins, or root vegetables such as parsnip. Whatever you choose, this Irish Red Lagered Ale is a wonderful way to celebrate Valentines day and the winter weather! Beertown Public House will be pairing with Beau’s All Natural Brewing Company for their midwinter celebration of FeBREWary. Each Beertown location (Cambridge, Waterloo, and London) will be featuring five never before made brews from Beau’s. Each week will showcase a new brew: Tyrannosaurus Gruit Ale, Embittermint IPA, Farm Table Pils North German-Style Pislner, Elephant Monsoon Peanut Butter & Grape Porter, and Koru Belgian-Style Pale Ale. 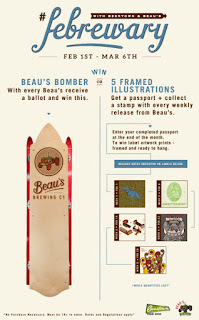 Guests can receive a Beau’s Passport on week 1 and have it stamped every week with each new brew. Once the passport is complete, it can be submitted to win a set of 5 framed illustrations of the artwork paired with the different brews. Additionally, each Beau’s purchase at Beertown receives a ballot for a draw to win a custom built Beau’s Bomber sled, hand crafted by the Sign Depot, another KW local. The event will commence on February 1 conclude on March 6, and will be held at all three Beertown Public House locations. Beertown Waterloo is located at 75 King St S, Cambridge at 561 Hespeler Rd, and London at 109 Fanshawe Park Rd E.
Beau’s Brewery will join 28 other craft breweries in Ontario, Québec, New Brunswick, British Columbia, the U.S. and as far away as Lithuania to mark International Gruit Day this Monday, February 1. The annual event, inaugurated by Vankleek Hill, ON craft brewery Beau’s in 2013, was created to celebrate and raise awareness of the gruit beer style. Gruit ales go back to a time in history before the Bavarian purity act, which dictated that hops would be the only acceptable ingredient to complement water, barley and yeast in beer-making. In gruits, a variety of other botanicals are used in lieu of hops, creating beers that are herbal, spicy, and each with a unique blend of terroir. Beau’s has created a special gruit to celebrate International Gruit Day: called Tyrannosaurus Gruit, it is a red ale brewed with beets, hibiscus flowers, local spruce tips, and juniper berries. The beer’s official release date will be February 4 to launch Beau’s feBREWary event in Ontario and Québec, but Beau’s will tap a special “sneak preview” keg of Tyrannosaurus Gruit in their retail space on International Gruit Day, and have free samples available for guests throughout the day. Beau’s brewed its first gruit ale in 2008. Called Bog Water, the ale’s recipe calls for organic bog myrtle, which is locally harvested and added to the brew. Bog Water is currently for sale in the LCBO as part of Beau’s ongoing Gruit Series, for which a new gruit is created every few months upon each solstice and equinox. Bog Water, and an imperial version of Bog Water called The Bogfather, will both be available for sampling and purchase at the brewery’s retail store on International Gruit Day. A list of breweries participating in International Gruit Day for 2016, as well as a description of their gruit recipes and local events to mark the day, is available at www.gruitday.com. For those in the craft brewing industry looking to participate for next year, Steve Beauchesne will be moderating a panel of some of the brewing world’s foremost experts on gruits at the 2016 Craft Brewers Conference, to be held May 3-6 in Philadelphia, PA. The women of Wellington Brewery are excited to offer a variety of educational sessions to the craft beer lovers of Guelph and surrounding areas. For the third year running, Queen of Craft will happen every Friday in March at various downtown Guelph locations. The program is designed for women and brings some of craft beer's most influential speakers to our city to discuss various concepts in beer, brewing and the industry. With proceeds going directly to Guelph-Wellington Women-In-Crisis, this program helps support the wellness of our community. "Queen of Craft aims to provide women a positive environment to explore all facets of the craft beer industry in hopes to encourage interested participants to get involved in the scene," explains Wellington Brewery Event Coordinator, Karyn Boscariol. She adds, "It brings women together to learn, bond and appreciate the contributions women have made to beer culture over the centuries." Queen of Craft 2016 will include prominent speakers, open discussions, live cooking demonstrations and a guide to host your own pairing party. The individual sessions will focus on woman-positive beer blogs, an education on the workings of yeast in beer, a culinary show-down using beer as the main ingredient and an exploration of pairing beer with cheese and chocolate. 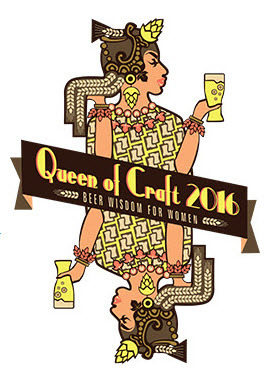 Participants who attend all four sessions will have a chance to be a part of our Queens Brew Team 2016. This team of eager women will come up with a recipe and then brew this beer on Wellington's pilot batch system. Proceeds from bottle and keg sales will go to support Guelph-Wellington Women In Crisis. This summer, the sound of reggae and the sight of dreadlocks flying through the air will join one of Toronto's longest running and most epic festivals! Gordie Johnson and his Rasta brethren of Big Sugar reggae style will headline Toronto's Festival of Beer presented by the Beer Storeon Saturday, July 23rd, 2016. 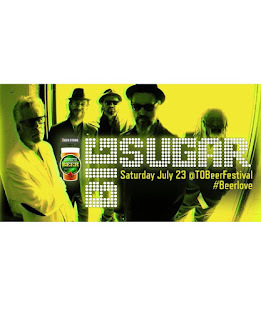 Tickets are now on sale at beerfestival.ca.Big Sugar reggae style is proudly presented by Boom 97.3. "Big Sugar reggae style is the ideal band to headline our legendarySaturday session" said Les Murray, President of Beerlicious; the operator of Toronto's Festival of Beer. He adds "they'll provide the perfect summer soundtrack to discovering your next favourite beer." The TFOB Mission is all about beer; showcasing local and international beer alongside food and music for Canada's largest summer beer celebration. On July 22nd - 24th at Bandshell Park inside Exhibition Place, beer fans from across the country will come to celebrate their favourite golden beverage while enjoying culinary delights from some of Canada's Top Chefs, beer education sessions, live grilling demos and so much more! Last year, over 35,000 attendees enjoyed live music from great acts like Naughty By Nature, 54-40, and Lowest of The Low. Tickets for Toronto's Festival of Beer presented by the Beer Store sell out in advance every year - so get yours now! Tickets can be purchased online at www.beerfestival.ca and are $42.50 with the ability to Hoptimize your experience for an extra $12. Hoptimizing your ticket will gain you early access and 5 extra sample tokens. This is a 19+ event. Current promo code to receive $5 off general admission tickets is BIGSUGAR22.